Falls from height are one of the major causes of death in the workplace worldwide. In the UK construction sector, half of all fatalities at work were caused by falls, commonly from ladders, through fragile roofs and off unprotected edges. Falls are also responsible for many major injuries, so fall prevention is essential to keep employees safe. The number one point to remember is that the right equipment must be provided for the specific application. This is key and cannot be underestimated. 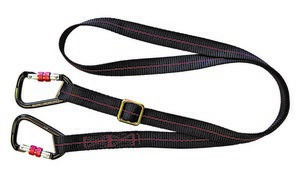 There are two key parts of fall prevention equipment – safety harnesses and the lanyards that attach to them. The huge array of work at height situations, applications and jobs requires a variety of different harnesses and lanyards, which can be categorised by type, size, length, and work application, and may be classed as basic, intermediate or professional/technical. Harnesses are available for men, for women or unisex. The choice of both is massive and can sometimes be overwhelming. 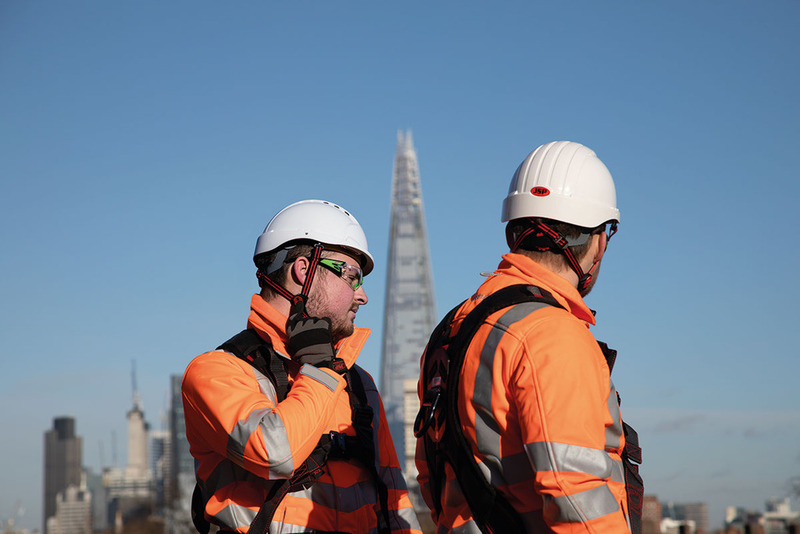 Working at height is governed by the Work at Height Regulations 2005 (WAHR) – http://www.hse.gov.uk/pubns/indg401.pdf – which state that those involved in working at height need to be competent. Part of competence is training. It’s both sensible and a legal requirement that anyone involved in working at height receives comprehensive training on how to conduct pre- and post-use checks, how to don the harness and adjust to fit, how to attach the lanyards and how to use the equipment to keep themselves safe. This training should also provide the basic knowledge necessary to select equipment for the application and situation. First, and most importantly, we must understand what the work at height involves. Will it be working in restraint (preventing the operative entering an area where they may fall), or will it be working in fall arrest (working in the fall zone). There are differing standards for these two applications and it’s vital to ensure the right equipment for the task is selected. Harnesses used for more complex tasks such as work positioning or abseiling must achieve additional standards. A simple full body fall arrest harness that complies with EN361:2002 is generally the minimum requirement for a body-holding device, coupled with a lanyard, for example a short adjustable restraint lanyard for work in MEWPs. From this base, harnesses that comply with extra standards such as EN358, EN813 or EN1497 can be chosen if there is a requirement for work positioning, abseiling or rescue. Some harnesses can achieve multiple standards, making them more technical, covering more applications and necessitating more training for the user. The EN361 harness is the most common piece of safety equipment. Harnesses may be 1, 2, 3, or 5-point harnesses. A 3-point harness is generally used for more technical jobs such as work positioning and work restraint, whereas a 5-point harness is necessary for abseiling. The vast variety of lanyards available in work restraint, fall arrest and work positioning categories must be chosen depending on their use. Lanyards may be single, double, fixed, tie back or adjustable and have different types of attachment such as screw gate karabiner or snap hook, scaffold hook or tower hook. If the tasks are varied and numerous, a selection of lanyards and possibly more than one harness will be needed to cover all the bases and the ever-changing nature of work at height. First, the harness must be the correct size for the wearer’s size and weight. Once in place, it must be adjusted so that it fits snugly. If the harness is not fitted correctly, it may not perform in a fall as it is designed to do. The worker may suffer serious or fatal injuries. 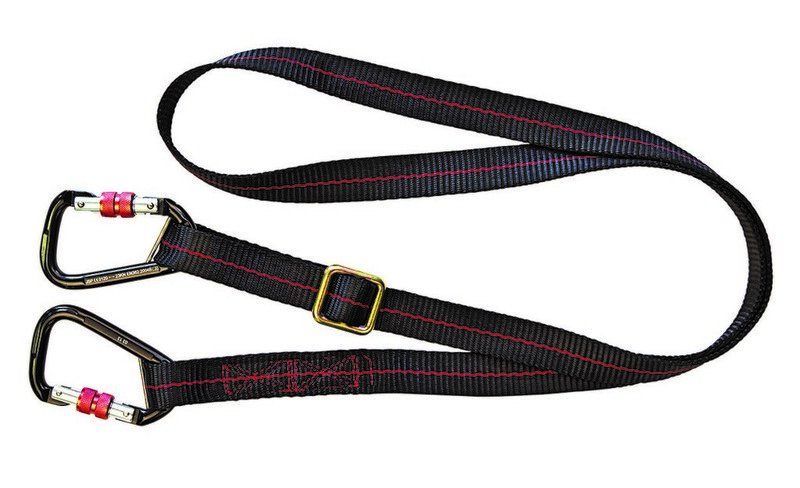 The lanyard can be attached to the front, back or sides, must be connected to the correct point on the harness for the task or application. As the issue of fall prevention is such a minefield, employers should speak to their supplier to get advice on the right safety accessories for working at height. They are the experts and will know how the different types apply to various work applications. There is no substitute for training, knowledge, experience and competence when making these life or death decisions.